Flash mob, meet the buy local movement. 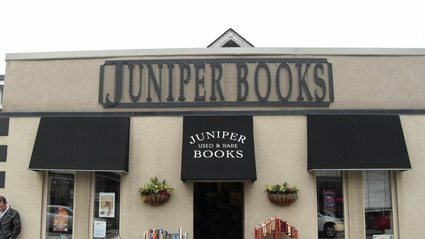 That’s what happened at Juniper Used and Rare Books last Saturday, when more than 50 customers simultaneously descended on the Windsor, Ontario, bookshop. The shopping spree was organized by Kelly Ouellette and Pat Ryan as part of Cash Mob Windsor, a grassroots consumer activist group dedicated to supporting merchants in the community. Ouellette and Ryan arranged the meeting over social media, and encouraged participants to drop at least $20 each. The book-buying horde doubled the day’s sales at the store, and did so just a couple of hours after owner Roger Wurdemann had unlocked the doors.